As a rule of thumb, the FX1 Pro racing seat will fit up to a 36 inch waist, the FX1 will fit up to a 38 inch waist and the FX1 Wide (black only) will fit up to a 42 inch waist. High wear patches are strategically placed to protect your seat from abuse in the high wear areas. 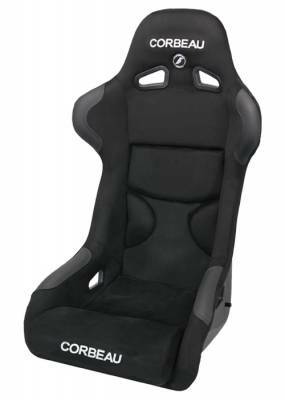 The FX1 Pro racing seat is available in cloth fabric with leatherette high wear patches or black microsuede with leather high wear patches.